Teaching is a noble profession. The various job roles of a teacher include planning, preparing, and delivering lessons to all students in the class and teaching according to the educational needs, abilities, and achievement of the individual students and groups of students. 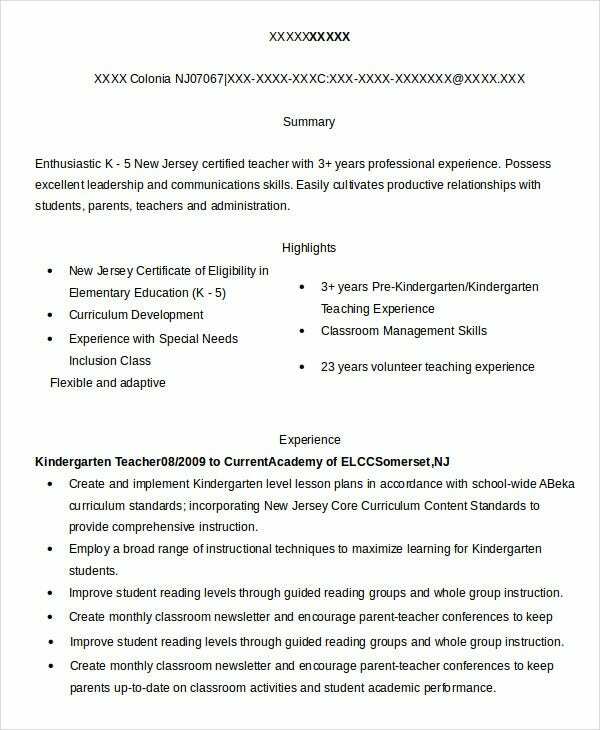 The below templates can be quite effective in creating interesting Teacher Resume Templates for a substitute teacher which will not only earn you interviews but will also help in landing that dream job. You might have substantial experience in teaching but might be looking for a change from your current capacity of a teacher. This template document can assist you in creating such an effective resume format. 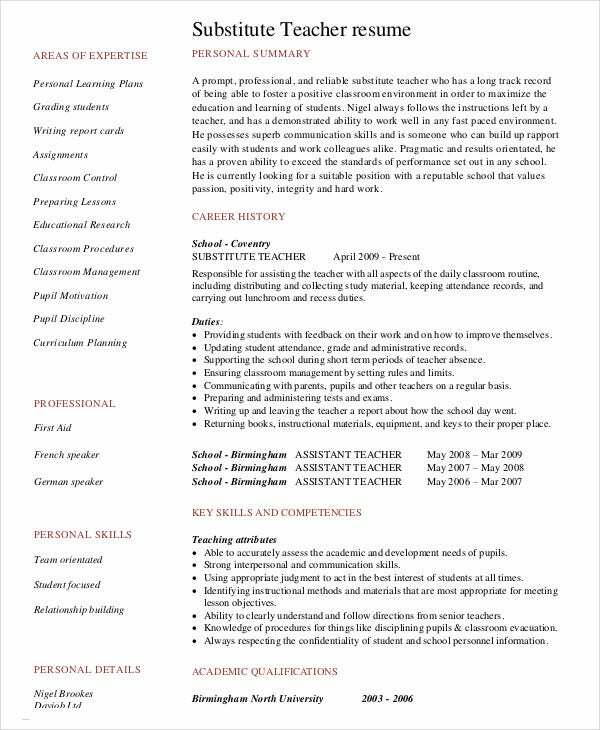 If you are a budding teacher and looking to create your forte in academics, creating your simple resume with this simple substitute teacher resume template could be quite a good start to give yourself the necessary breakthrough. 1. 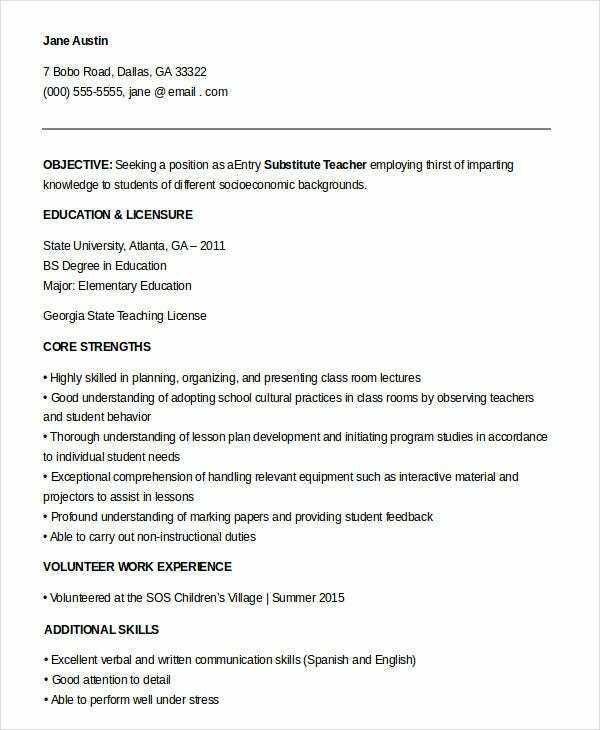 How to use the Substitute Teacher resume? 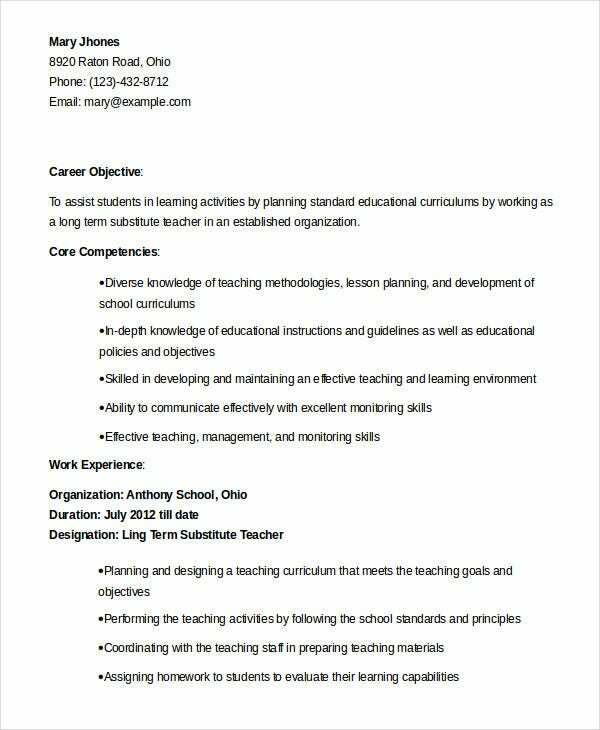 The host of substitute teacher resume templates which are available here is for both new and old teachers. While some of the template documents are simple and compact, others are structured and detailed. A simple but professional resume formatting coupled with the free editable features makes these document easy to use templates. The use of language is extremely crisp and flowing so that it will be easy for your prospective employers to view your professional details with ease. The way you format your resume is extremely important and these formats of teachers’ resume can clearly explain your cause. 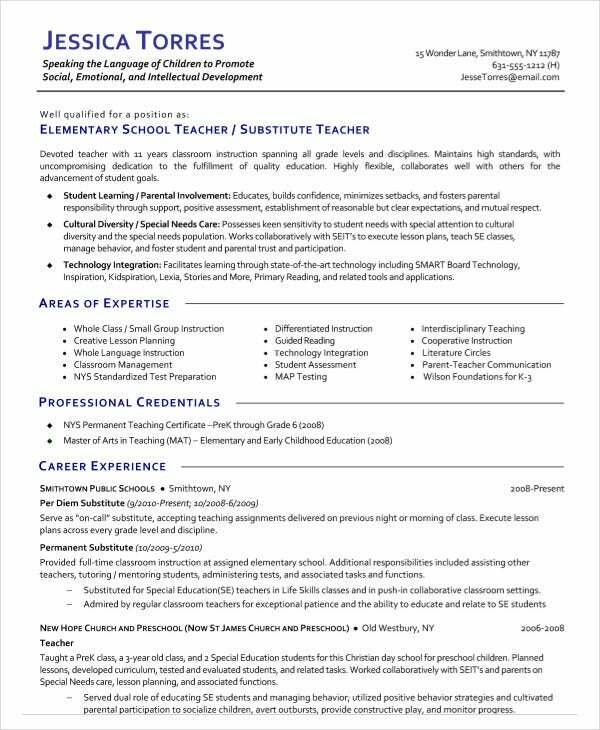 The entry-level substitute teacher resume template is a one-page document which highlights the resume objective, core strengths, volunteer work experience, and the additional skills of an entry-level substitute teacher. 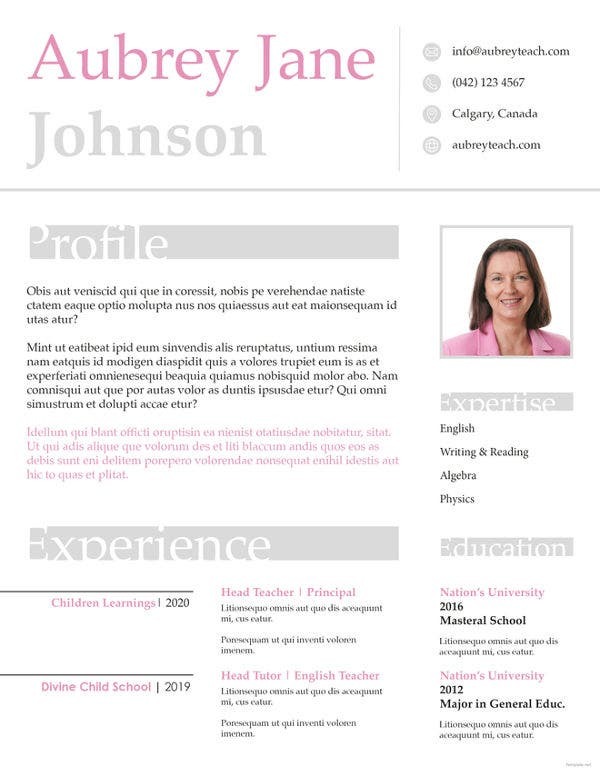 This customizable Elementary Teacher Resume Template is a detailed template which is also neatly arranged and organized. If you are looking to personalize it, all you need to do is simply edit the given information with your details. The job of a kindergarten teacher is perhaps one of the most difficult as well as interesting occupations. 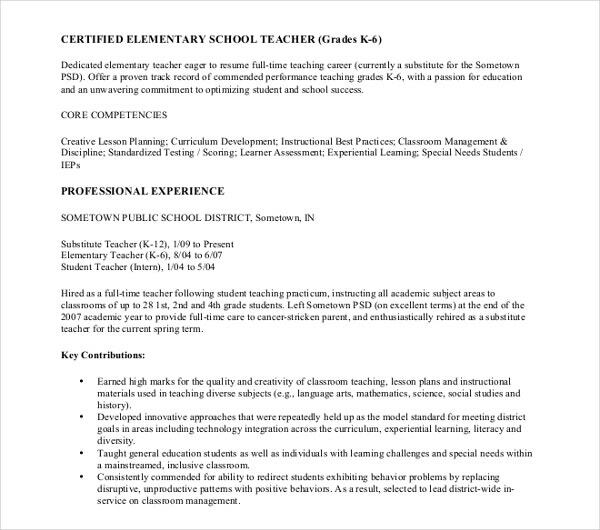 This format will assist you in creating a stunning Teacher Resume for yourself. 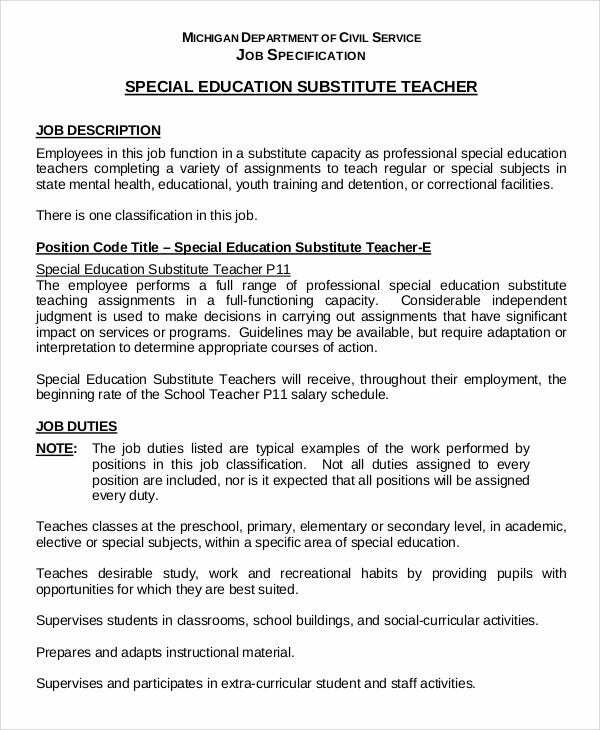 What are the benefits of using the Substitute Teacher resume? 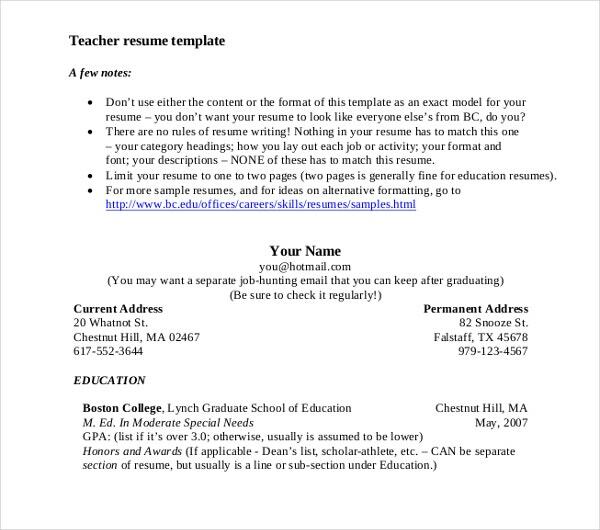 Whether you just want to see what a professional teacher’s resume looks like or you want to make one of your own, our Substitute teacher resume templates a great start for job seekers – both new and experienced. The above teachers’ resume library was designed by our resume experts and has been battle tested by job seekers. You can explore these templates, download them, personalize them, and start getting more interviews. While each resume has its own unique aesthetic, you can select the one which best suits your skill sets and experience and downloads it to make a personalized teachers’ resume for yourself. You may also see resume writing tips. The job of a substitute teacher can be well of as much importance as that of a teacher. The job market for teachers is more than often saturated and therefore, creating a stunning resume in imperative. 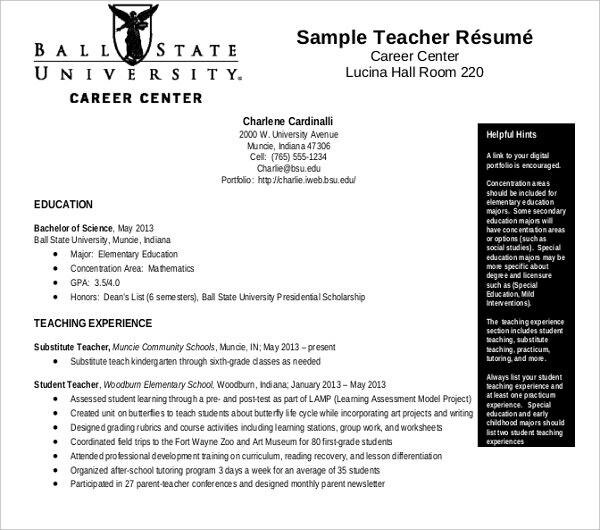 Using the templates available here, you can create a well-informed resume to take your teaching career to new heights.